This title includes hundreds of training tips and techniques, with easy-to-follow instructions demonstrated in over 750 photographs and diagrams. This title follows the detailed step-by-step advice and pictures to improve your game and become a better soccer player. From attacking to defending, passing to goalkeeping, warming up to cooling down, this book covers all the fundamentals plus much, much more. This title includes technical illustrations that take you through expert practice drills and formations. This title includes a dedicated section on fitness helps you create a personal work-out regime to build up your strength and power. This comprehensive new training guide is the ultimate companion for all young soccer enthusiasts, whether you're a beginner or more experienced, a casual player or a future professional. Split into three chapters, the book begins with 'World-Class Skills', which works through all the basics, including tackling, passing and heading, and with plenty of suggestions for drills to perform either alone or with teammates.Chapter two, 'Tactics and Teamwork', includes tips on how to best arrange players on a field according to their abilities, the rules that form the basis of game-play, and strategies on how to improve communication and co-operation on the field. The third and final chapter, 'Fitness', stresses the importance of keeping up your strength and stamina, and provides sample exercises and work-outs. 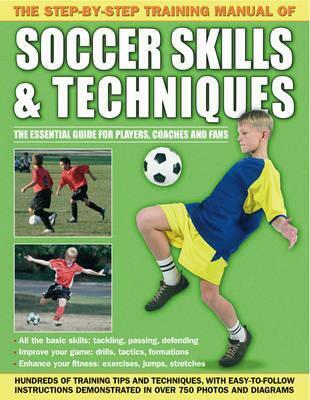 With over 750 action photographs and diagrams illustrating clear step-by-step expert instructions, this is the perfect practical reference for all aspiring soccer stars and coaches.